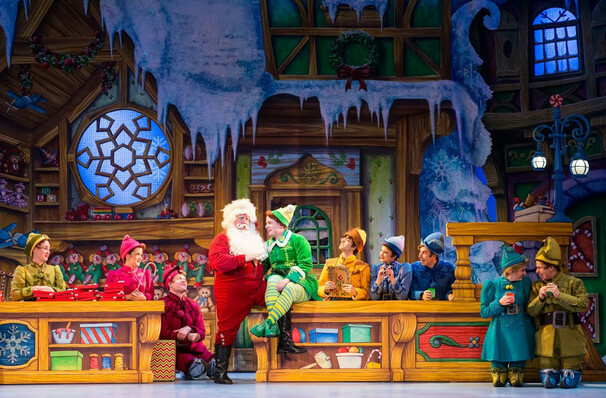 Elf Event homeCustomer reviews HamiltonThe PromNetworkTo Kill a MockingbirdKiss Me KateHadestownOklahoma! The book culls the best lines from the movie while also smartly managing to distinguish it as its own entity! Say Hello to Buddy the Elf! 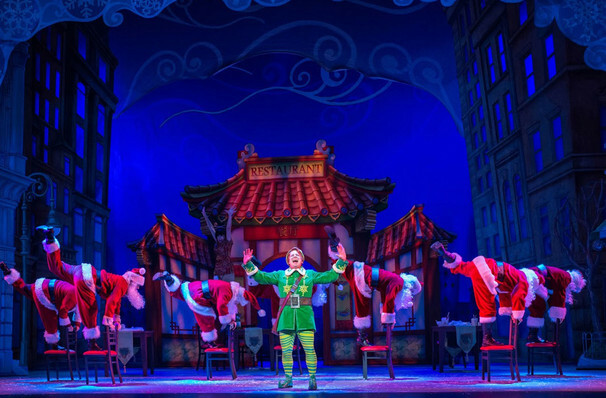 Based on the beloved movie starring Will Ferrell and Zoey Deschanel, this show first premiered on Broadway in 2010, and has since been inducted into the canon of classic Christmas shows. Matthew Sklar and Chad Beguelin provided the bouncy score, while the book came courtesy of Broadway vet Thomas Meehan (Annie) and comedian Bob Martin. 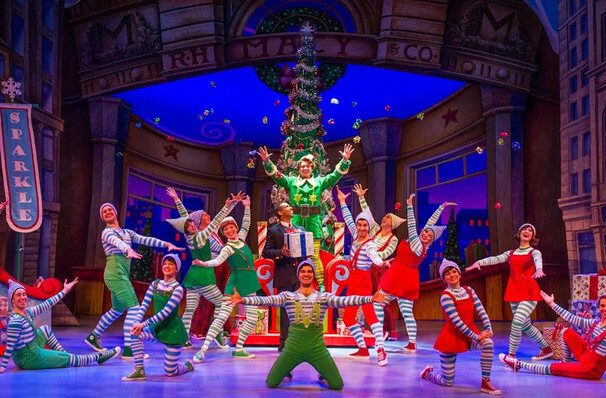 This critically acclaimed musical is a joyful addition to holiday theatre, with enough hi-tech wizardry and songs to keep the kids engrossed, as well as plenty of jokes for the adults. When Santa is out delivering his presents to the world's children, little does he know that he has picked up an unexpected visitor; an orphaned baby boy has crawled into his present sack, and he is unknowingly whisked off to the North Pole. 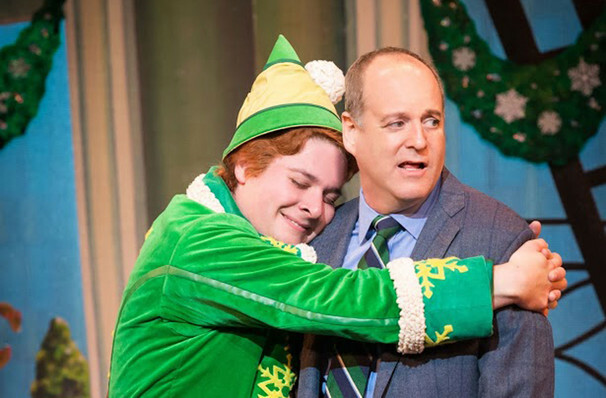 Years later, the boy, Buddy, now a fully grown man, is confronted with a startling truth; he is not in fact an elf, but a human. 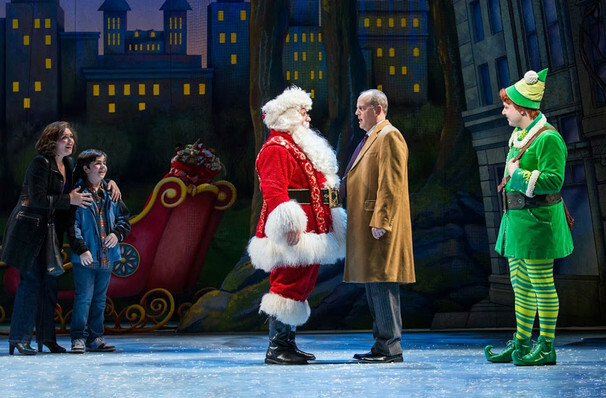 With Santa's permission, he heads off to the bright lights of New York City to discover his real birth family. When he arrives in the Big Apple, everything is a shock to him; New Yorkers are seriously lacking in Christmas spirit, and his father Walter is a surly book publisher more concerned with the bottom line rather than spending time with his family. 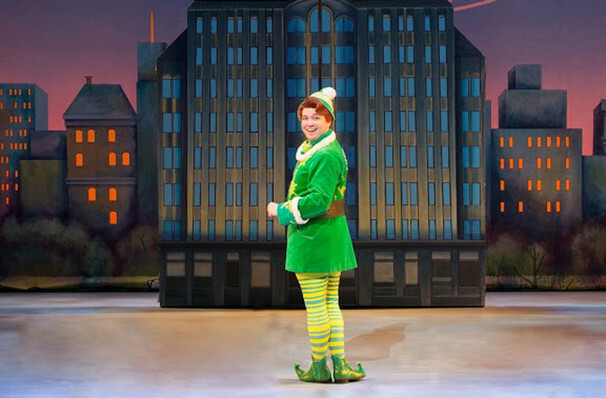 It is up to Buddy to inject Christmas spirit into the city of New York, as well as bring his real family back together. In the original film, Buddy's real name was never revealed - but in the musical we find out what he was originally called. What is it, you ask? Sorry, you'll have to watch the musical to find out! 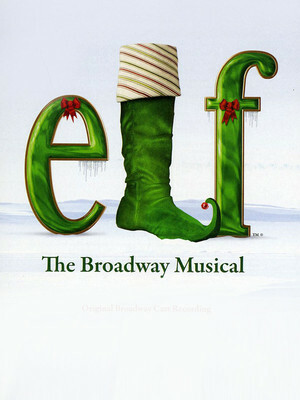 Please note, although Elf is billed for all audiences, some humor may be inappropriate for Children. Parental Guidance is advised. Sound good to you? 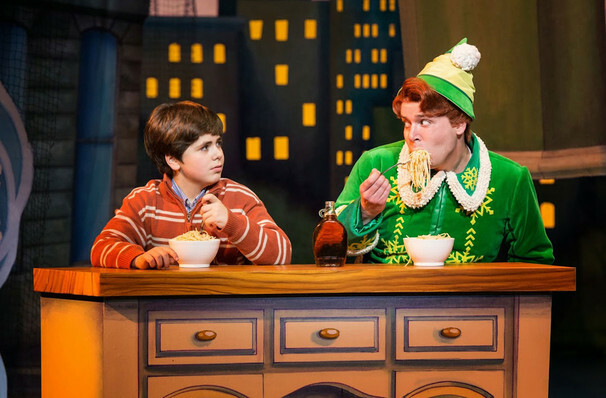 Share this page on social media and let your friends know about Elf at Count Basie Theatre. Please note: The term Count Basie Theatre and/or Elf as well as all associated graphics, logos, and/or other trademarks, tradenames or copyrights are the property of the Count Basie Theatre and/or Elf and are used herein for factual descriptive purposes only. We are in no way associated with or authorized by the Count Basie Theatre and/or Elf and neither that entity nor any of its affiliates have licensed or endorsed us to sell tickets, goods and or services in conjunction with their events.